Too Many Great Activities to List! 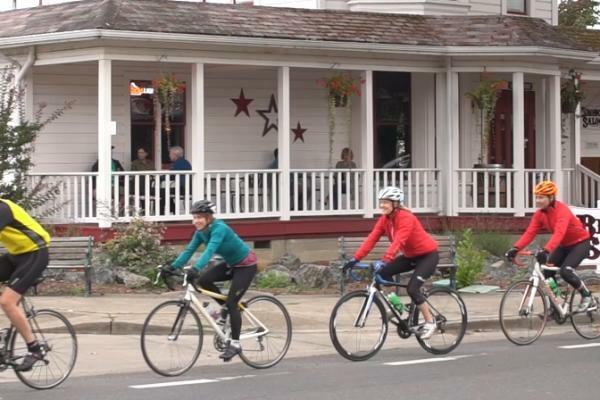 Eugene, Ore - May is Bike Month and there are activities queued up throughout Eugene-Springfield and beyond. There&apos;s something for the entire family, for individuals and even for businesses. Keep up on all the fun by visiting We Bike Eugene. It&apos;s hard to focus on just a few activities and events, but here are few that caught our attention. Breakfast! - Breakfast and the Bike Bridges and Wheels by the Willamette offer opportunities to to grab a bite to eat, get a free bike safety check and chat with City staff. Pedal by the DeFazio bridge on the 15th between 7-930 a.m. or on the 18th from 4-6 pm stop by west D and Aspen in Springfield. More opportunities occur throughout the summer, so check WeBikeEugene.org regularly. Learn about Mountain Biking - On May 17, Disciples of Dirt joins the University of Oregon Bike Program for a free presentation to get new mountain bikers started with the sport. Learn about the local mountain biking community and how to begin riding. Head to the UO Outdoor Program Barn on 18th Avenue from 6 to 8 pm. Cycles & Ciders: Bike Basics Maintenance Level 1 on May 15 - Open to the first 35 to register, this interactive class will give you a basic level of knowledge about bike maintenance and what better place to take a class. Wildcraft Cider Works will donate $1 of each pint sold to the non-profit Disciples of Dirt. Register now. Bike Friendly Movie Night on May 29 - If you are a restaurant, hotel, attraction, bike shop, or retailer that offers services to visitors, join us for Bike Friendly Business Movie Night to learn about the benefits of bike tourism, how to be a bike friendly business. Brought to you by the City of Springfield, this event offers assistance submitting your free application to Travel Oregon for recognition and businesses that submit their applications at the event will be entered into a raffle to win a free Bike Friendly Business sign. Food and refreshments will be provided. It&apos;s free, but please register. May is bike month, but there is something happening year-round. Be sure check the WeBikeEugene.org site frequently.